We have 120 high quality camping & touring caravan pitches available by the night, with seasonal pitches available from March to October. 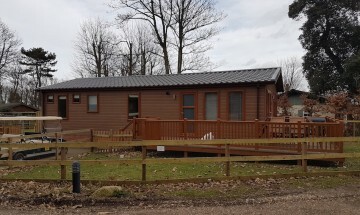 We currently have several new and pre-owned holiday lodges and cabins on superb pitches for sale, these are available to view now. The 12 Lost Churches, our Bar and Restaurant is open every day from 10am. We are open all year round serving food, drinks, and much more. Welcome to the award winning Cliff House Holiday Park in Dunwich, Suffolk. 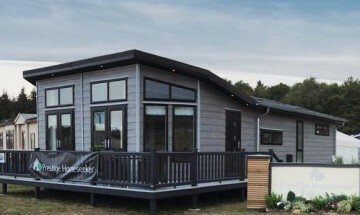 We specialise in Lodges for sale, static caravans for sale, self catering buy to let investments, self catering holidays, camping plots and touring plots. Cliff House Holiday Park has won many awards over the years, recently we were runner-up in the 2018 Norfolk & Suffolk Tourism Awards, being voted in the top three holiday parks of East Anglia. What makes Cliff House Holiday Park in Suffolk so popular? The answer is simple our location is absolutely fabulous! Our 30 acre holiday Park is situated on the idyllic Suffolk Heritage Coast, on the cliff top, with direct beach access. The holiday park is surrounded by the most beautiful heathland, woodland and of course the beach. You can come camping, bring your tourer or camper van, come on a self catering holiday or own a holiday lodge or static caravan less than two miles from the RSPB Minsmere nature reserve and close to the wonderful seaside towns of Southwold and Aldeburgh. Cliff House Holiday Park is the perfect place to relax during your well-earned leisure time and if you wish our bar and restaurant is here to help too with a great selection of local beers supplied by Adnams of Southwold and lovely freshly cooked food from our menu and specials offering. Our team is on-hand at all times to help ensure you use your time here to recharge your batteries! We have lodges and caravans for sale here at Cliff House Holiday Park. With luxury second home ownership in vogue, you may want to own a super quality holiday home to visit regularly or have a house abroad and need a UK base to pop over to stay in. Alternatively, you can invest in our buy-to-let opportunities. We have something to offer all. Camping and touring is extremely popular here, as is our superb self-catering. We have the perfect holiday for you, so ring now on 01728 648282 to find out more!